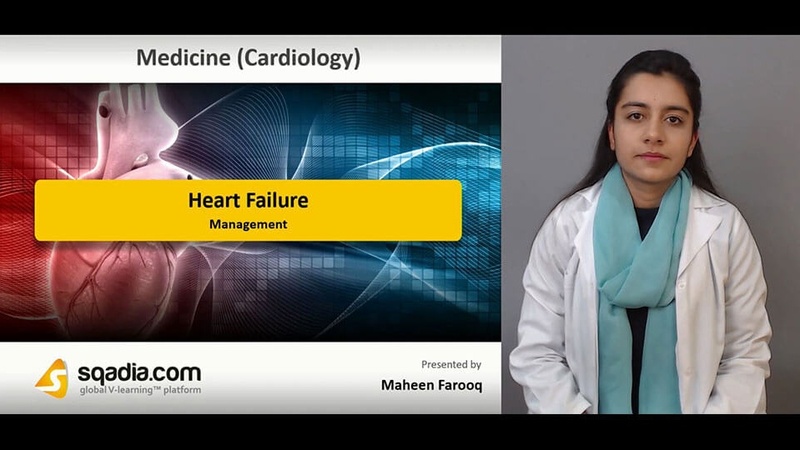 Want to broaden your knowledge on the topic of heart failure? Then you have come to the right website. We have this sqadia.com medical video lecture just for you. This lecture provides a detail elaboration on the definition, epidemiology, etiology and pathophysiology. In addition to this, risk factors and complications alongside the clinical features and diagnosis via EEG or ECG has been shed light upon. Conclusively, both the pharmacological and surgical management strategies have been delineated. In the commencement, definition of heart failure has been put forth. 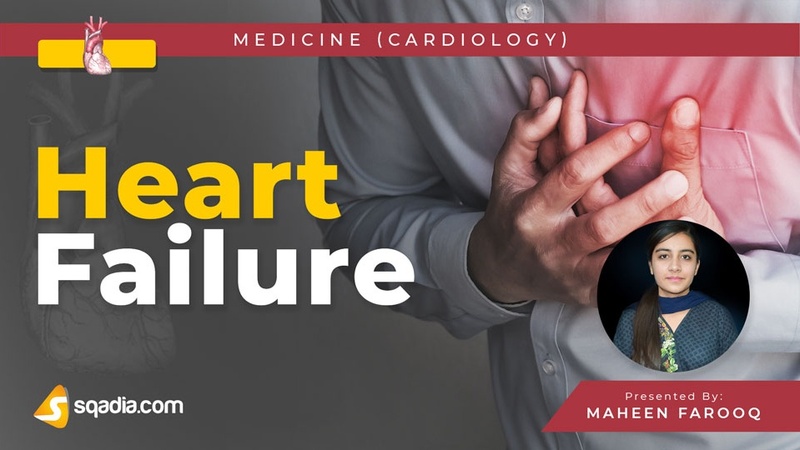 This condition is also termed as congestive heart failure. Various important features including coronary artery disease, hypertension, diabetes and obesity have been highlighted. Conclusively, epidemiology has been discussed. Etiology and pathophysiology is deliberated in this section. 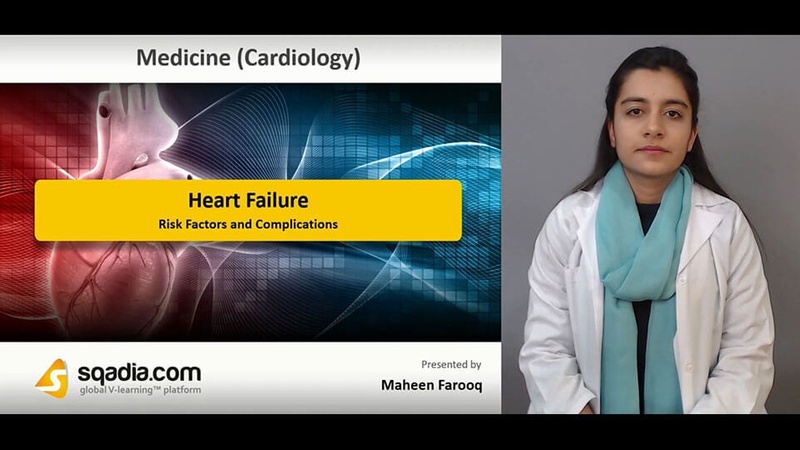 Primarily, etiology of heart failure has been elucidated. Moreover, pathophysiology alongside left ventricular dilatation, activation of sympathetic nervous system and activation of renin angiotensin aldosterone system has been delineated. 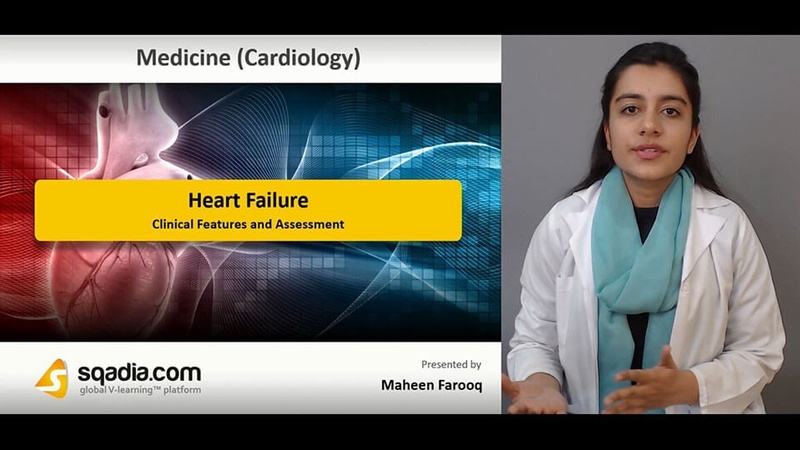 In the end, types of heart failure have been explained. A range of risk factors have been shed light upon. Furthermore, certain complications have also been elucidated. Kidney damage or failure, heart valve issues, arrythmias and damage to the liver are some of them. Preventive measures have also been thoroughly deliberated. Initially, the clinical features and Framingham criteria has been comprehensively explicated. Clinical assessment, including inspection of palpations and auscultations has also been brought under discussion. Diagnosis, however, encompass electrocardiography (ECG) and X-ray of chest region. ECG assists in the detection of left ventricular hypertrophy and anterior wall infarction. On the other hand, chest X-ray helps in diagnosing pulmonary edema and Hilar congestion. The key objective of this section is on the management. Diet, bed rest and vaccination has been highlighted at first. Furthermore, medical management including use of diuretics, vasodilators and digitalis has been broadly explained. Conclusively, surgical management options including coronary bypass and revascularization, ICDs and ventricular assist devices have been reported.